It is a well-known story that St. Patrick travelled West to a new land to bring Christianity and banish snakes. But are we talking of Ireland or the Isle of Man here? St. Patrick is perhaps our most important saint and we share with Ireland a land awash with his name and stories. The parish of Patrick is the most obvious connection, or St. Patrick’s Isle (today with Peel Castle on it), but there are countless more; the parish church in Jurby, or Ballakilpheric of course, and then there’s at least 18 keeills and 13 holy wells, as well many other sites that bear his name. The story is said to begin in AD 444 when Patrick rode his horse here over the sea. In fear, that heathen god, Manannan, threw down his mist and set a sea-beast upon him. But this was nothing to for the saint, who leapt fearlessly up onto Peel Hill. The beast was turned immediately to rock and the enormous curving ridge of its back can still be seen off Peel Hill. It lies in the sea below Chibbyr Pherick (Patrick’s Well) which was formed when the horse’s hooves first struck the earth. People have made pilgrimages along the precarious path to this holy site in the hope of miraculous cures ever since. At St. Patrick’s blessing the land was rid of ‘venomous beasts, visible devils, and a multitude of magicians.’ Some will be sad to hear that Manannan was also banished, rolling away in the form of three legs to sink into the sea on an enchanted island. But such is the popularity of Noo Perick (St. Patrick) that Peel isn’t the only place to claim his first landing. Jurby has one claim, but Rushen has evidence. Visible from the coastal footpath close to the Sound is a curious cement box shaped like a dog-kennel. In here is nothing less than St. Patrick’s Footprints, marked in rock from when he first visited. But perhaps yet stranger than this is Lhiabbee Pherick (Patrick’s Bed) in Marown. It is said that St. Patrick was walking in a field close to Ballafreer when he pricked his foot on a thorn. In anger, he cursed the field to never grow crops again – a curse which apparently holds true to this day. Repenting for his sin, St. Patrick punished himself by spending the night sleeping on a large slab of rock here. This can still to be seen today (on private land), helpfully identified by ‘Lhiabbee Pherick’ having been etched into it 100 or so years ago. But these are just the start of the many Manx St. Patrick stories. You could even be led to believe that St. Patrick is as much Manx as he is Irish… and you might be right! The article can be enjoyed on the Isle of Man Newspapers' website here: St. Patrick was as much Manx as Irish. 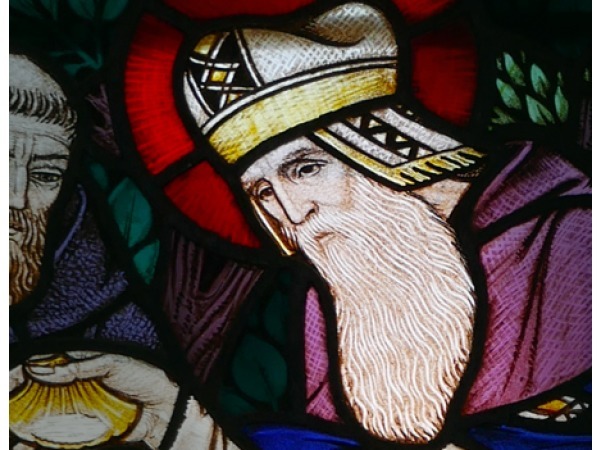 More about St. Patrick can be found amongst our Manx Year pages, here: Laa'l Pherick.